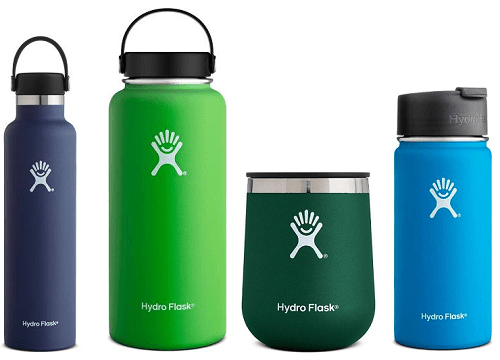 Hydro Flask Water Bottle Sale – Free Shipping For New National Parks Line! We list the most current deals we can find on the Hydro Flask bottles, plus we have a review on our the bottles, based on our personal experience (and why we love them)! Right now, shop their End of Season Sale! Enjoy Free Shipping on the Limited Edition National Park Hydro Flask Wide Mouth! Use coupon code SHIP2ME19 in cart. One of the most requested items we often hear from readers in our Thrifty NW Mom Deals group is about finding discounts on the Hydro Flask Water Bottles. And there is a current sale going on right now, we thought many of you might want to know about. Currently you can get 25% off select colors + FREE Shipping in this end of year sale! Offer valid while supplies last. Just use offer code RETIREMENT19 in cart to get the savings off these bottles here. 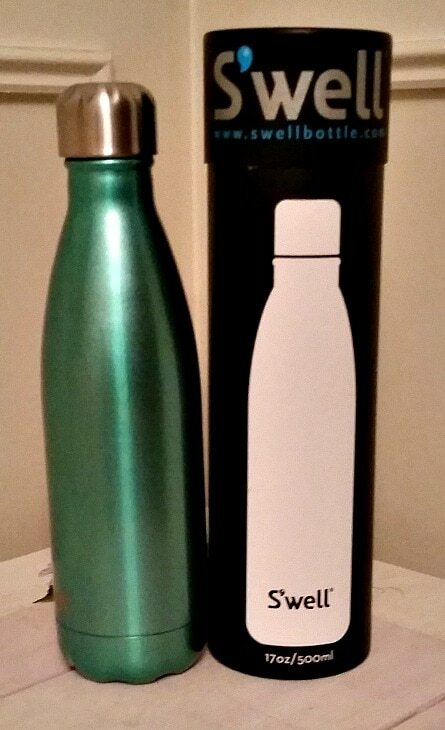 These bottles would be great to add to the top of a stocking, or use as a teacher gift, or gift for anyone who likes a quality water bottle or to go coffee cup, etc. Hydro Flask is offering 25% off retiring colors while supplies last! It’s the last chance for Mint, Lava, Blueberry and Flamingo! Find the Butterfly bottle here. 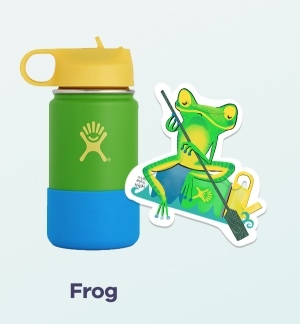 And the Frog bottle here. My husband bought this Hydro Flask water bottle before a school trip to Costa Rica and that was the true test for him in the heat & humidity of Costa Rica. The water stayed cold for the 24 hours just as they said (even ice would stay in ice form for hours). He is a big fan of this bottle! We have also used it for hot liquids as well when we went snowshoeing and it kept the water nice & warm for our hot cocoa after we got back. Since this experience, we have become big fans and have a review on the bottles below if you want to learn more about them. You’ll see the Hydro Flask bottles listed in my go-to items for a Road Trip, too! 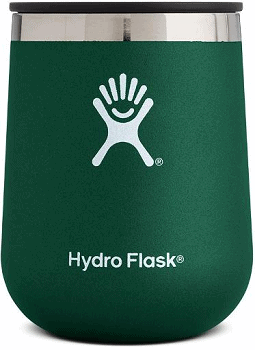 Hydro Flask Coffee Flask – 16 fl. oz. Hydro Flask Wine Tumbler – 10 fl. oz. Hydro Flask Standard-Mouth Water Bottle with Flex-Cap – 18 fl. oz. Find all the Hydro Flask Sale items here, and dont forget to use code THRIFTY4SCHOOL to get the free shipping offer and see your savings! We are a family that is always on the go, whether it be hiking or snowshoeing in the Northwest or visiting family in the humid Florida summers and we always make sure to carry reusable water bottles with us everywhere we go. This is key to traveling with kids, especially, as kids can get so active & they can really need that extra water, so we always carry extra bottles in our packs. There is nothing better on a hot day than a cold drink of water after you have been exercising hard, so we have become quite picky in our choice of water bottles over the years. My girls are like me – they love the ice-cold water to drink (we just don’t drink as much water if it is lukewarm) so we have tried many water bottles looking for the perfect water bottles that will keep water cold for long periods of time! We have finally found our top two favorites, so I wanted to share them with you as we have tested both of these vacuum sealed bottles in extreme heat & humidity (visiting family in Ft Lauderdale & a trip to Disney World in late June / early July) and these both stood the test to stay cold for long periods of time – even keeping ice cold for over 12 hrs & water cold for up to 24 hours in that heat. The bottle featured above is a new bottle for me with the wide mouth opening and more durability, but I have had a Swell bottle since 2015 when I received one to review. Soon after receiving that first S’well bottle is when we took it to Florida & it amazed us with how well it kept water cold in the humid, hot weather with temps close to 100 degrees most days. The S’well bottle keeps drinks cold for 24 hours & hot for 12 hour without any condensation on the outside of the bottle. The cap also prevents leakage and can hold in carbonation, which I can attest to the fact that I have never had it leak (but I have not tested the carbonation as I only use it for water). I think this is a great water bottle for moms to use with little ones if you need water to stay at the same temperature, for example if you bring formula with you & need the water to stay warm. These bottles are pricey, but they are made of the highest grade stainless steel and I have more than gotten my money out of these bottles with how well they keep my drinks cold! I personally love the S’well bottles more than the HydroFlask bottles because of all the cute, fun designs & patterns/prints. The only thing I will note is that you need to make sure to read the instructions before use – I have never put my bottles in the dishwasher ( a big no-no with vacuum sealed bottles) but I did make the mistake of soaking this green bottle in water & the pretty glitter coating has started to peel off because it sat in water too long. That has not affected the vacuum sealing of the bottle, though. S’well bottles start at $21 & up, but they are so high quality that they will last & you get your money’s worth. 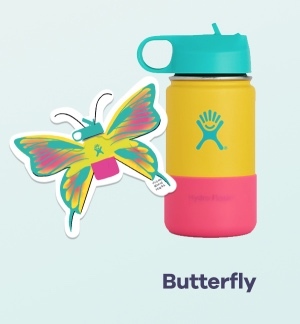 You can purchase them on Swellbottle.com, but you can get 15% off by signing up for their email newsletter frequently & free shipping when you spend $50 or more. I also have seen the Sip by Swell bottles in Target; however, I don’t know how they compare as far as the effectiveness of the vacuum seal & how long they last with keeping the liquids cold. I know many of you are very familiar with Hydro Flask bottles as they are definitely quite popular here in the Northwest, but in case you have not yet tried them out yourself, let me tell you, they really do live up to all the hype! This is by far my husband’s favorite water bottle. He took students to Costa Rica for a field trip & encountered hot, humid weather & his Hydro Flask never failed to keep the water cold for hours & hours. 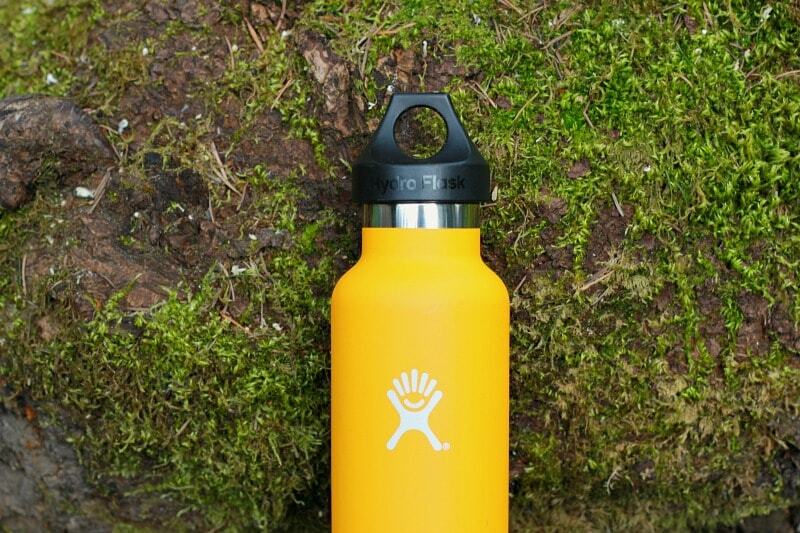 What he likes about the Hydroflask is how durable it is and perfect for an outdoors person. It has a tough shell and ours has been dropped without any damage. My husband also likes the fact that it has the handle at the top for attaching to his backpack if needed with a carabiner. He loves it for traveling, hiking, snowshoeing, you name it! It works so well with keeping liquids cold & it does keep items hot or at least warm for 12 hours, when we have brought it for hot cocoa on our snow adventures. Hydro flask bottles can be pricey (but oh so worth it! ), but they do go on sale every so often. 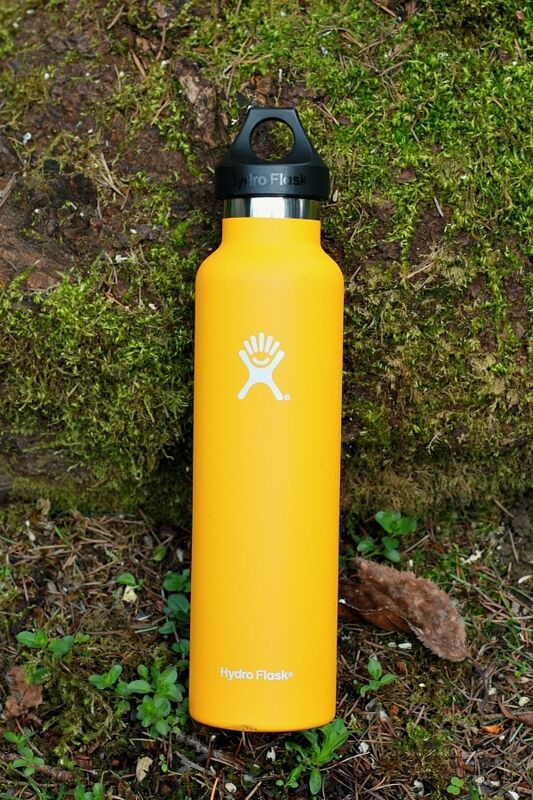 You can find them at many outdoor retail stores, as well as online at the HydroFlask website. REI also carries them in-store as well as online at REI.com & I frequently see them go on sale in the REI Garage, which is the online clearance section of REI. We saw some great sales around Black Friday/Christmas & I am betting we’ll see more sales around Father’s Day timeframe, too.